Part of the joy of sharing our discoveries here at Yatzer (or as we like to put it, ''Yatzering''), is discovering an artist that you may not have known about previously. 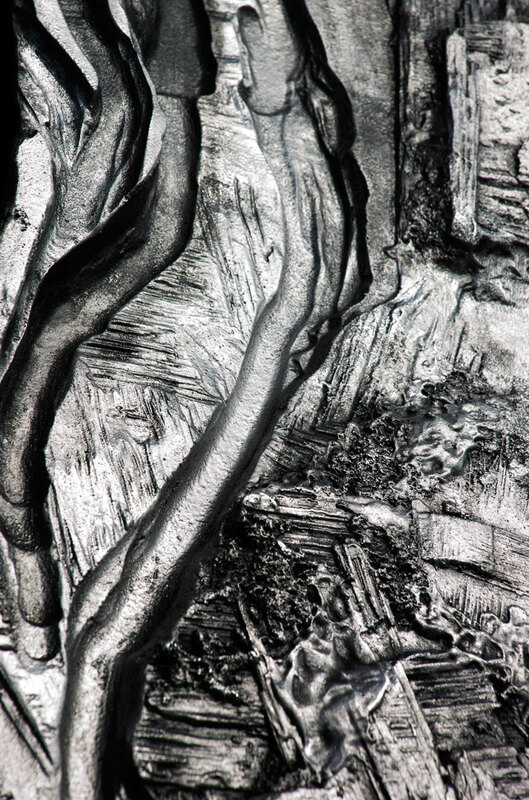 As you read on about Tong, a large scale cast aluminum sculpture; you will notice that the details of the piece manage to bring you remarkably close to the artist herself. Something magical happens when an artist manages to truly leave themselves behind in their work of art as Yechel Gagnon does in this sculpture. And yet, that magic becomes a moment of genius when it is pure vulnerability that the artist has left behind in something as non malleable, rigid, coarse and as permanent as aluminum. 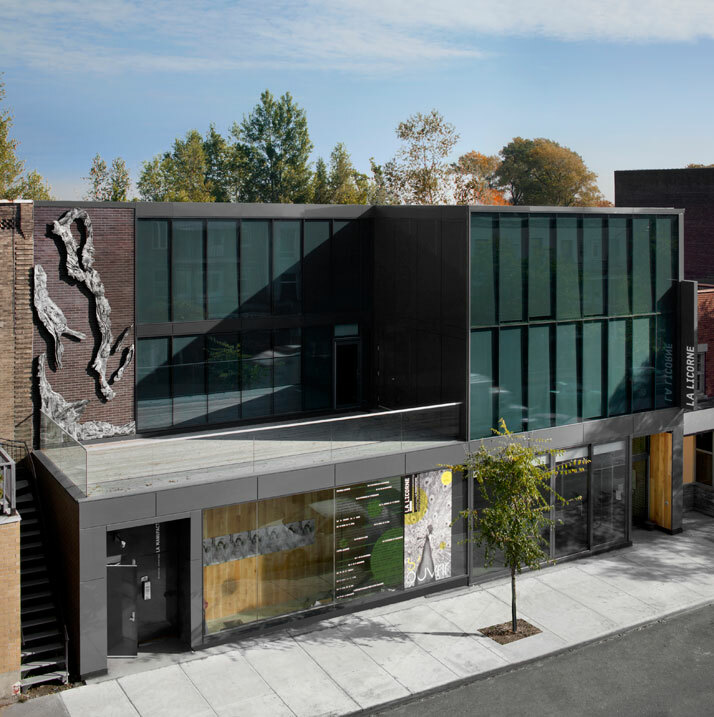 Tong is displayed as a mural across the top of the Licorne Theatre in Montreal, Canada. The name comes from a Chinese term that means ''together'', an integral concept in theatre, the art that takes place inside the building on which the sculpture commands attention. Upon a first glance, Tong looks like something you might have seen back in High School through a microscope in Biology class where ''organic forms evoking movement and fluidity, are in dialogue with the dense and solid medium and city environment''. These meanings are conceptually layered yet, ultimately point to Gagnon’s intimation that ''the whole is greater than the sum of its parts''. Gagnon’s approach is clever and careful yet simultaneously bold as this is the first time she has worked with metal. Looking at her previous installations (her previous work consists of prints, drawings, bias-reliefs and architectural installations); Gagnon enjoys a discourse with her viewers. She challenges herself, taking time to research and experiment with many different materials. She has a talent for a gentle approach, a circumspect style where she respects the viewer and does not ''smash them over the head'' with meaning through her use of harsh materials. Her pieces breathe and move and are gentle and strong all at the same time. They bring the viewer in and allow for their thoughts and feelings to be shared in the space of her work. 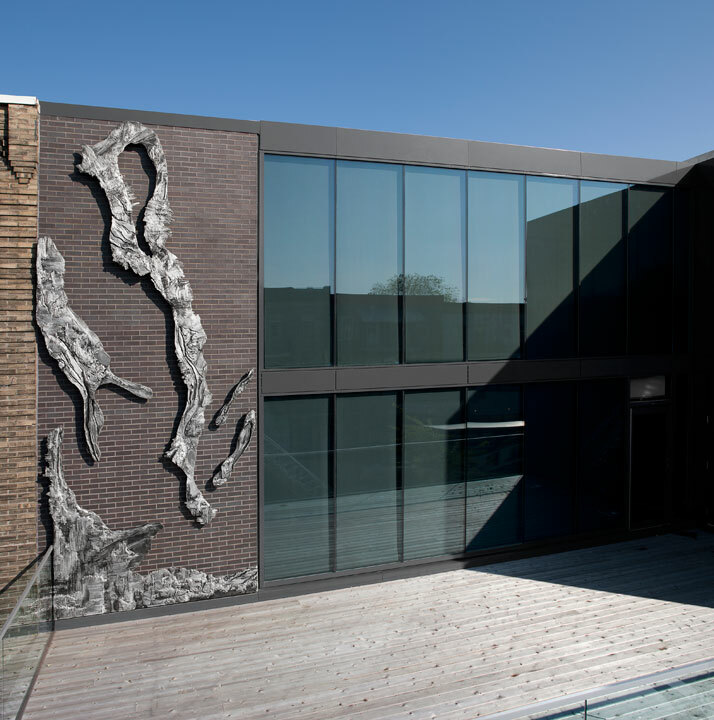 Tong was an especially new and different experience for Gagnon, as it was a large public piece that would have to sustain outdoor conditions whilst maintaining her aesthetic and delicate balance. 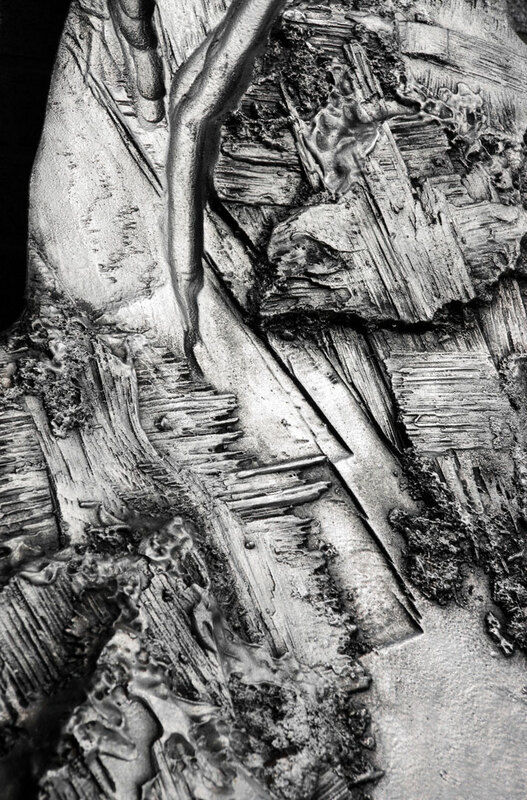 The close up images of Tong are gorgeous; the piece looks fossilized, as if these imprints and intricacies were put there by nature. 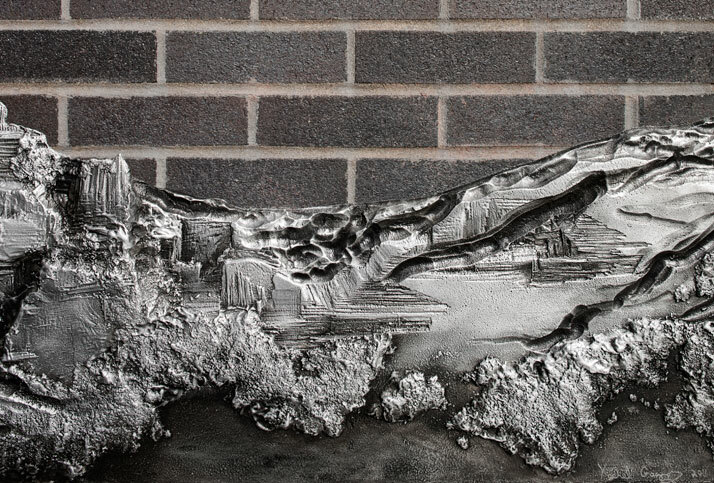 Once again, we find the layering of meaning and complexities, and you can tie this back to the concept of this organic life form, its exposure to a harsh reality, unforgiving outdoor conditions; a metal material made vulnerable, the public art space of “putting yourself out there” vs. shielding oneself with a hard exterior. And of course, the obvious tie to theatre is present, an art form dependent on all the pieces coming together to form a whole and complete work of art. A graduate of the Ontario College of Art and Design, Yechel Gagnon earned her MFA from Concordia University. She has exhibited her work in Canada, the U.S. and France, and is represented by Newzones Contemporary Art Gallery in Calgary, the Moore Gallery in Toronto and Cynthia Reeves in New Hampshire. Gagnon is set to show a solo exhibition at the Moore Gallery in Toronto in Autumn 2012.